Tags:	push rod inspection camera, inspection camera wöhler, vis350, 40mm, pan tilt, pipe, camera, kit. 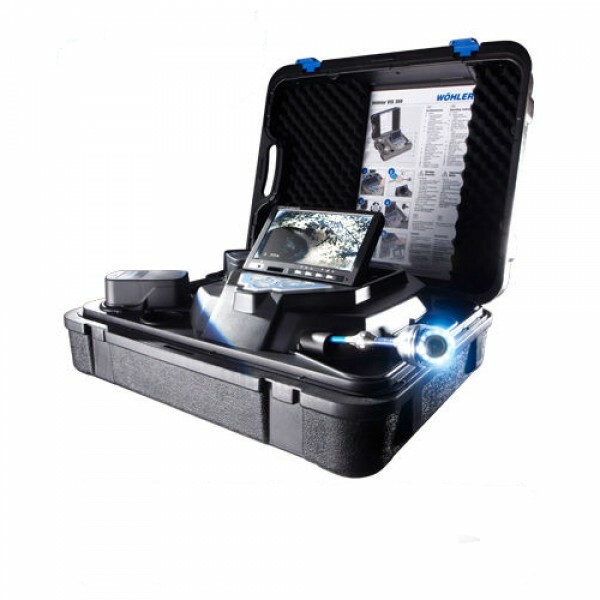 Wöhler VIS350 40mm P/T Push Camera kit a is a fully integrated, lightweight, portable and affordable push rod inspection camera system. 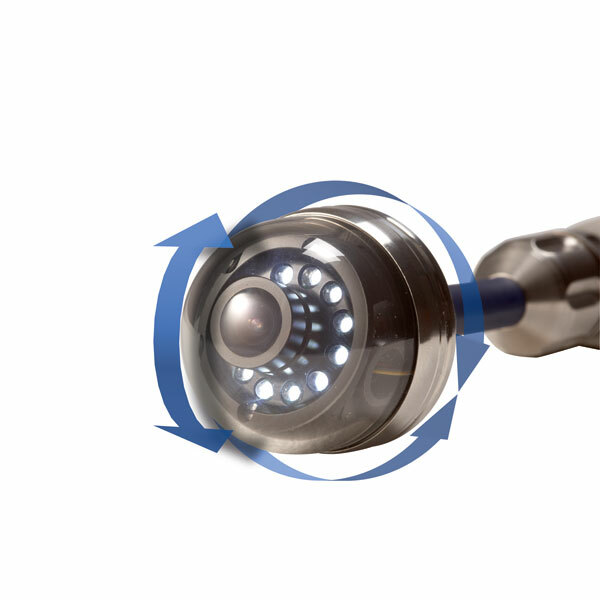 The Vis 350 camera includes a unique pan & tilt camera head that allows for close inspection of pipes, ducts, chimneys, drains, behind walls and ductwork. Essential feature such as video recording, battery power, and push rod distance measurement make the Vis 340 inspection camera system perfect for many applications. 360° degree pan and 180° tilt camera head: allows the VIS 350 push camera see in all directions. Other push rod inspection camera systems only see straight ahead and cannot see the detail of sidewalls like the Vis 350. Large flip up 7 inch LCD: allows for optimal viewing. Other cameras for drains do use cumbersome old-fashioned monitors that are heavy and offer little true resolution. 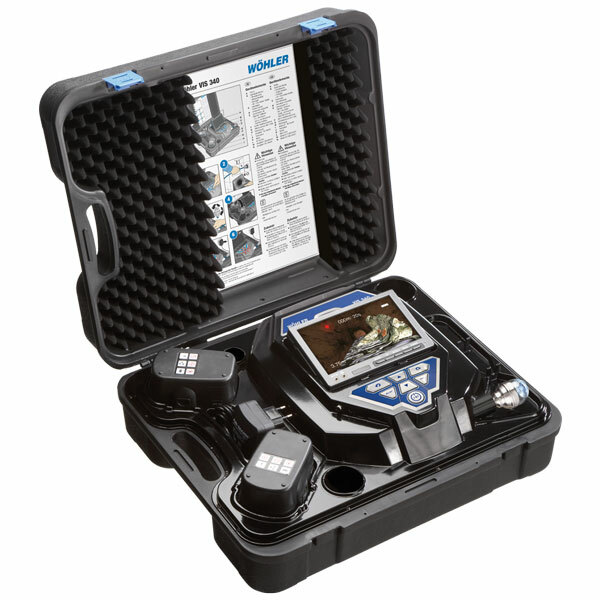 SD Card Storage: The Wohler 350 inspection camera offers a removable SD card slot to easily record video. SD card storage is superior to USB thumb drive, DVD or tape recording. SD cards are able to record hours of video on the most modern and universally accepted recording media. USB file transfer: The VIS 350 includes a USB connection to quickly transfer files directly to your PC. Direct USB file transfer is faster for transferring large video files compared to other media such as thumb drives, DVDs or videotape. Portability: The VIS 350 pipe 100-foot inspection camera weighs in at only 15 lb and is self-contained in a convenient system case. 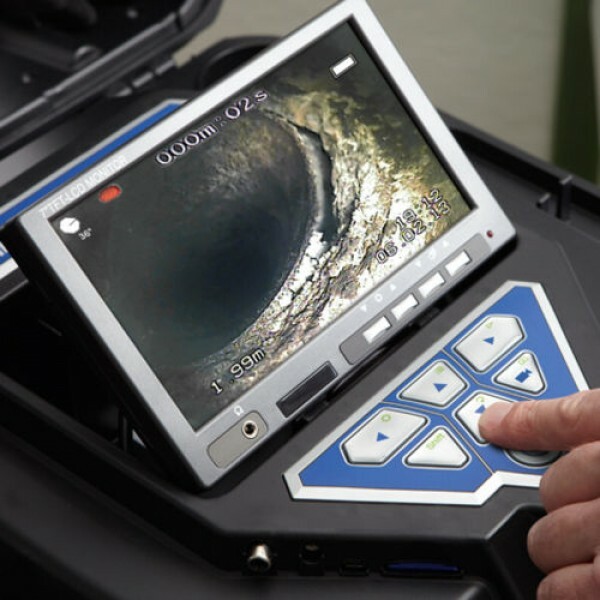 Other inspection or drain cameras have heavy metal storage reels and separate viewing monitors that add to their bulk and weight. Battery Power: included with the VIS 350 are 2 batteries for extended use in the field when AC power is not available. This is superior to chimney, pipe, push and drain camera systems that rely on DC power only.